Episode 162 features Alexandra D’Agostino who hails from London, Ontario, Canada. Alex is 23 years old and is going into her last year of university where she is pursuing a double major of psychology and anthropology. Alex is considering a Master’s degree in either music therapy or nursing when she completes her undergraduate work. She loves traveling and music, playing seven instruments and singing in her university choir. Alex is very actively involved in the stuttering community. She is a member of the Board of Directors of the Canadian Stuttering Association (CSA) where she is part of the social media team. She runs the CSA’s Facebook page. The CSA is holding their annual One Day conference on October 22, 2016. Both Alex and her mom are running workshops. Alex has also attended conferences of the National Stuttering Association (NSA) since 2011 when she was 18. Her parents have come with her to the annual NSA conferences. Alex served on the NSA’s Teen Advisory Council for three years. 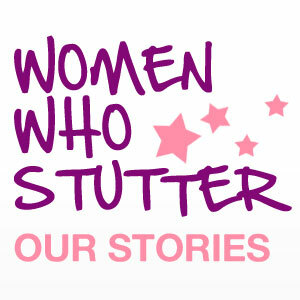 Listen in as we discuss growing up with a stutter, being bullied and speech therapy experiences. We discuss how cyclical stuttering really is and how it affects our life differently depending on what stage of life we are in. Right now, Alex is happy with her speech and feels she has accepted her stuttering. This was a wonderful conversation with a wonderful young woman who wants everyone who stutters to know that they are not alone. Music used in today’s episode is credited to ccMixter.